Advances in smart technologies for wearable sensors, wearable electronics, and smart clothing, rely on sensitive microelectronics and circuity components that require superior levels of protection from humidity, pressure, temperature, and other environmental variables. Due to the nature in which a device will be used and the environment it may be subjected to, protecting wearable technology poses many challenges. 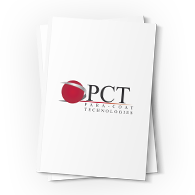 Para-Coat Technologies Parylene coatings offers the ultimate protection solution to just about every challenge posed by wearable devices. For instance, fitness monitors and smart watches are potentially exposed to numerous elements and factors such as water, perspiration, chemicals, corrosive spray, motion and vibration. Parylene is a way to not only protect the device assembly, but extend life in various conditions. Whenever and wherever wearable technology is being utilized, it is imperative that these devices are protected accordingly to ensure enhanced reliable performance when utilized in their end use environments. To learn more about the benefits of Parylene coating, contact us today!